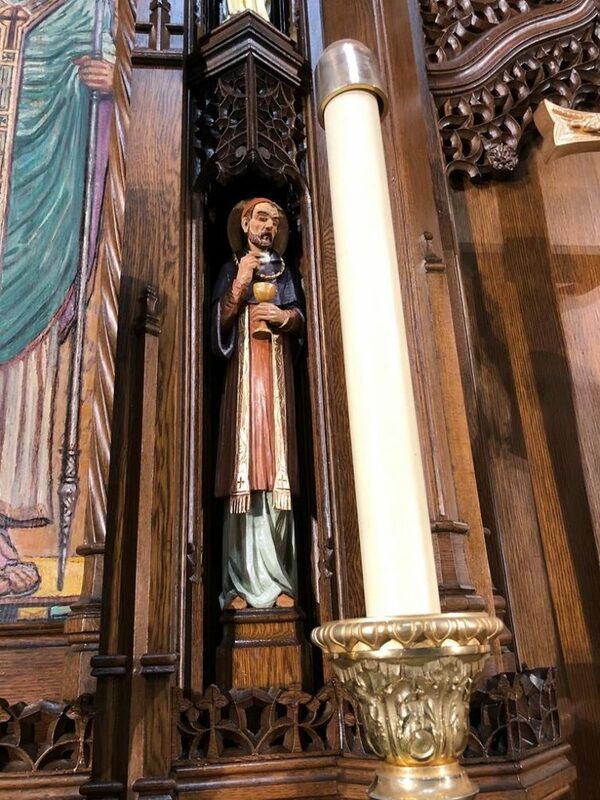 We ask everyone to please be sure to look at the renewed staining of the wooden backdrops (the reredos) behind the main altar and the side altars of Mary and Joseph. 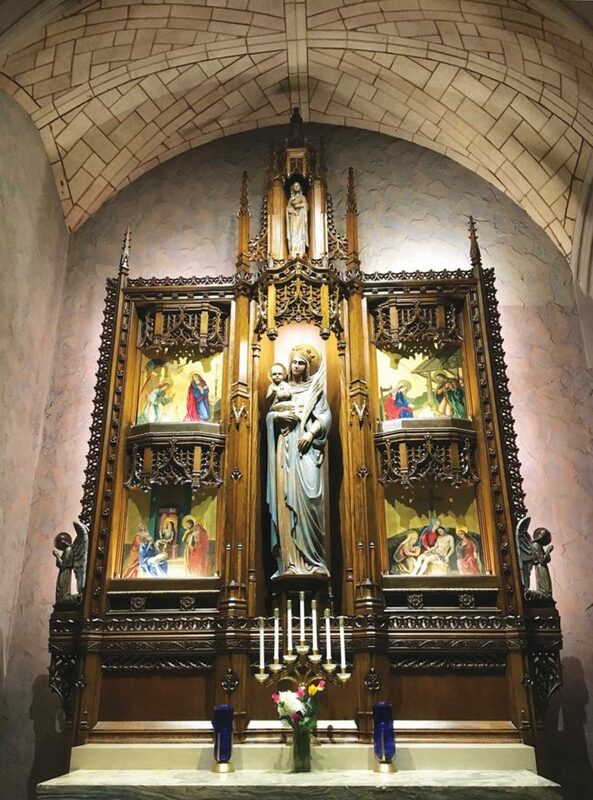 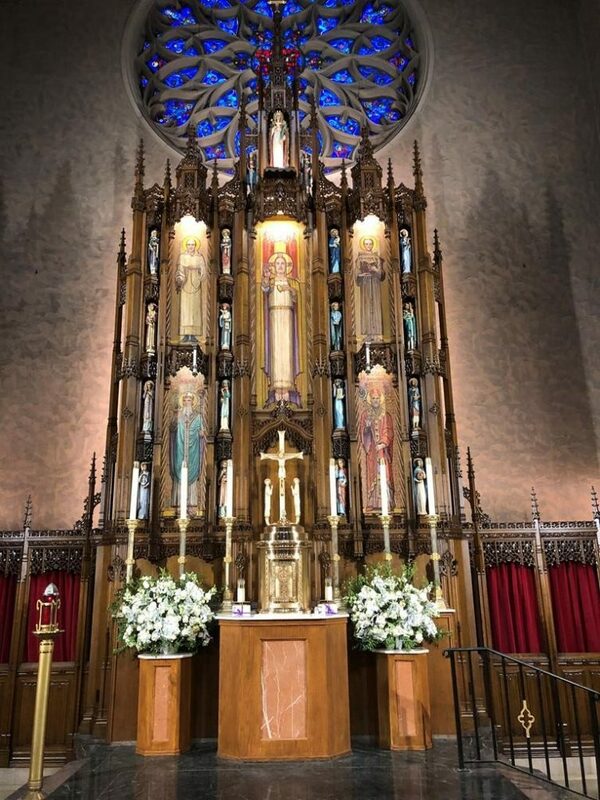 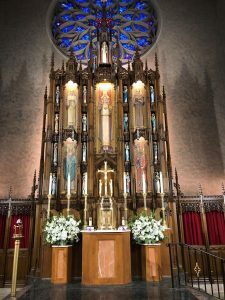 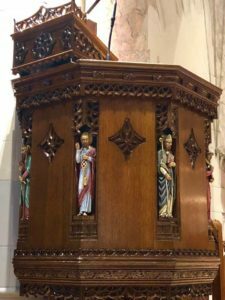 As of December 2018, we completed restorative work on the altar reredos and the woodwork in the sanctuary. 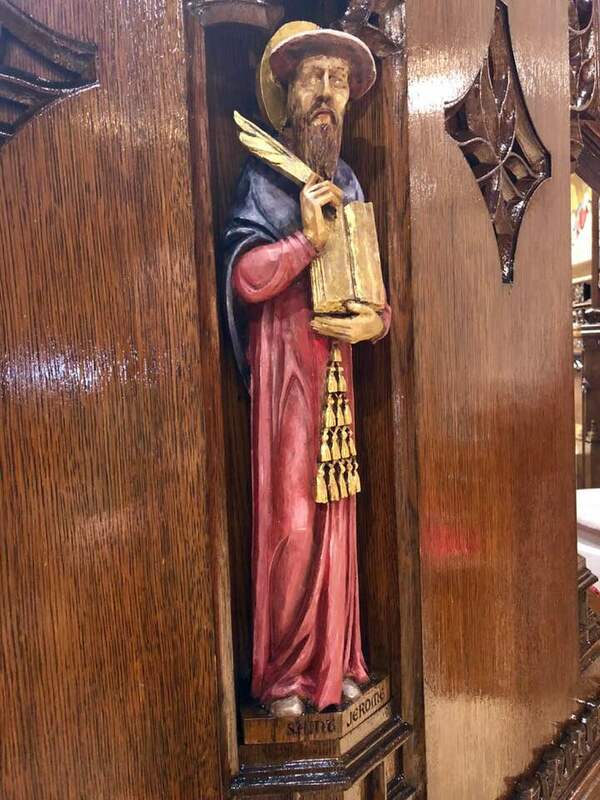 If you recall, sanctuary woodwork renewal is one of the case statements for the Generations of Faith capital campaign initiated in 2016, so we thank all who continue your GOF pledges. 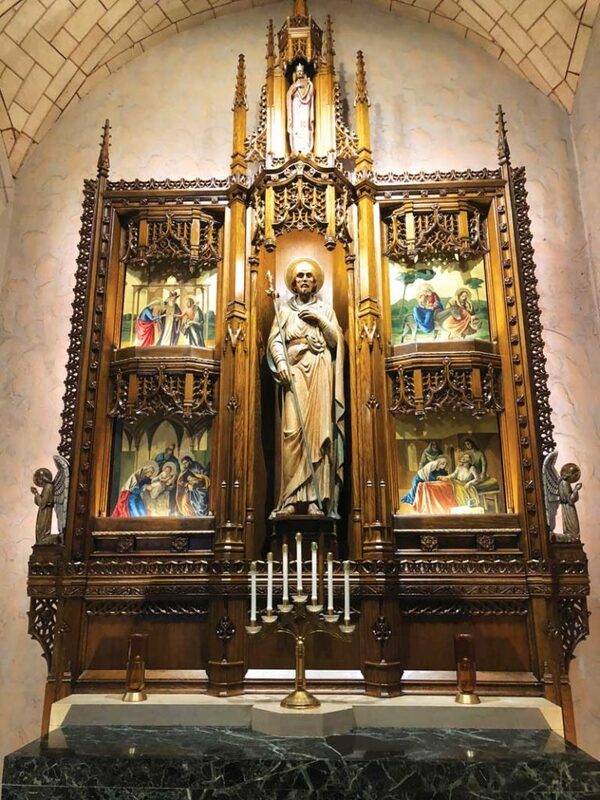 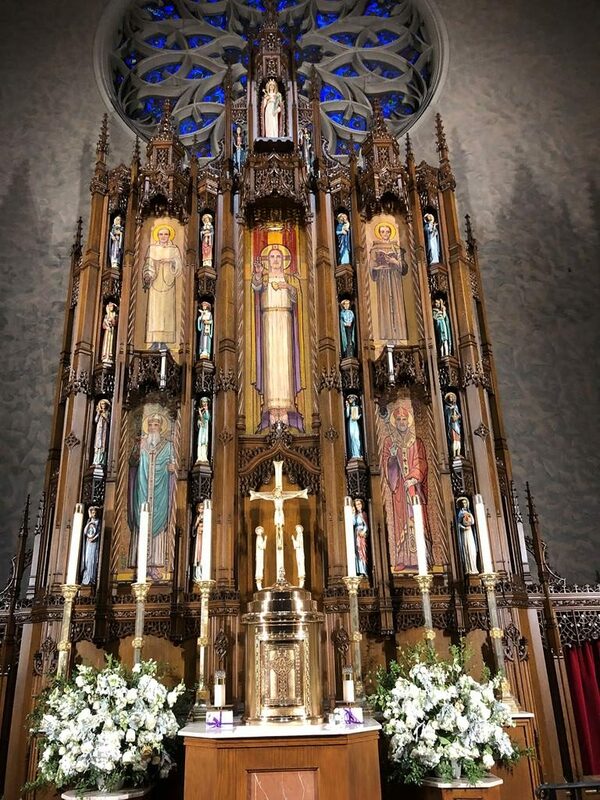 On the main altar reredos, the major painted panels of Christ (central panel), St. Patrick, St. Boniface, St. Dominic and St. Francis of Assisi were repainted, as were the 16 carved statuettes of saints. 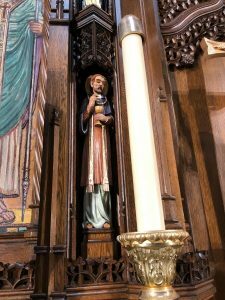 On the side altars of Mary and Joseph, inside the wooden backdrops, the scenes from the life of Mary and Joseph were repainted. 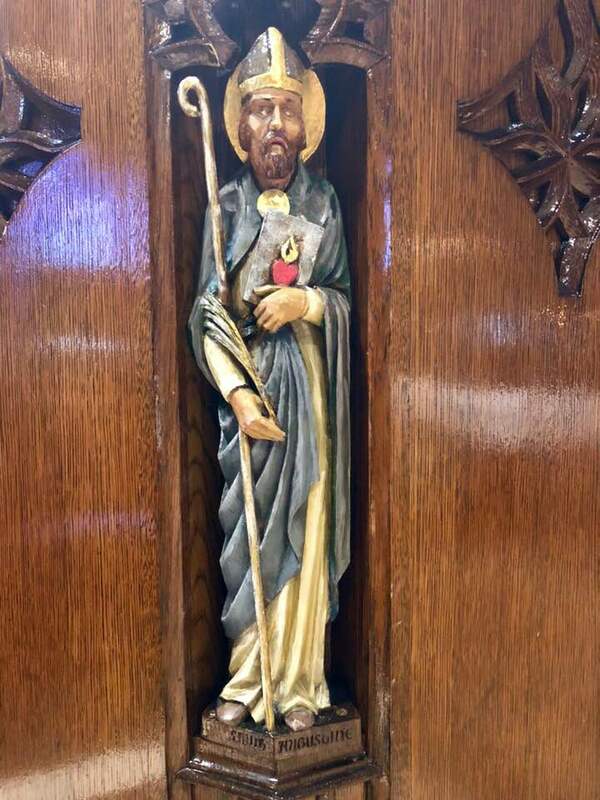 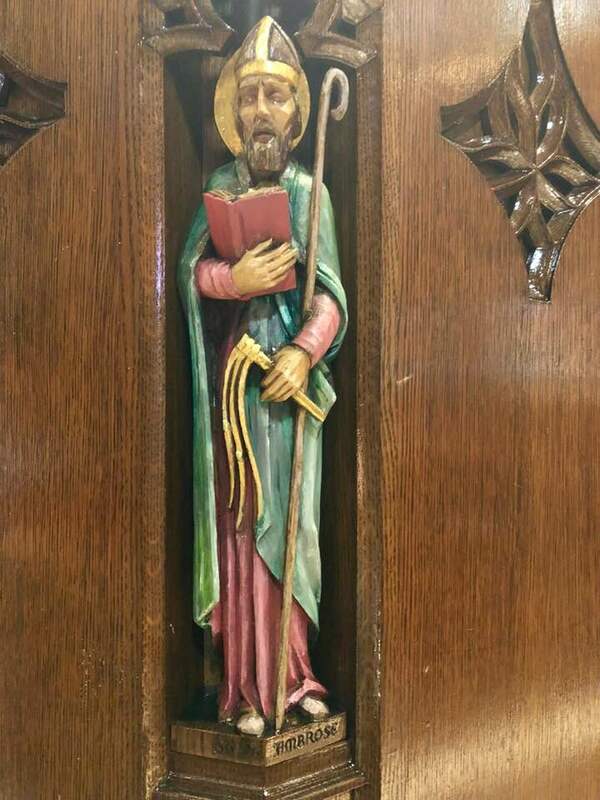 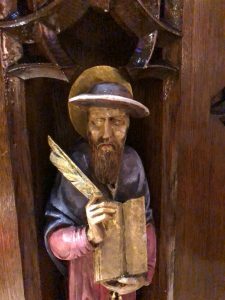 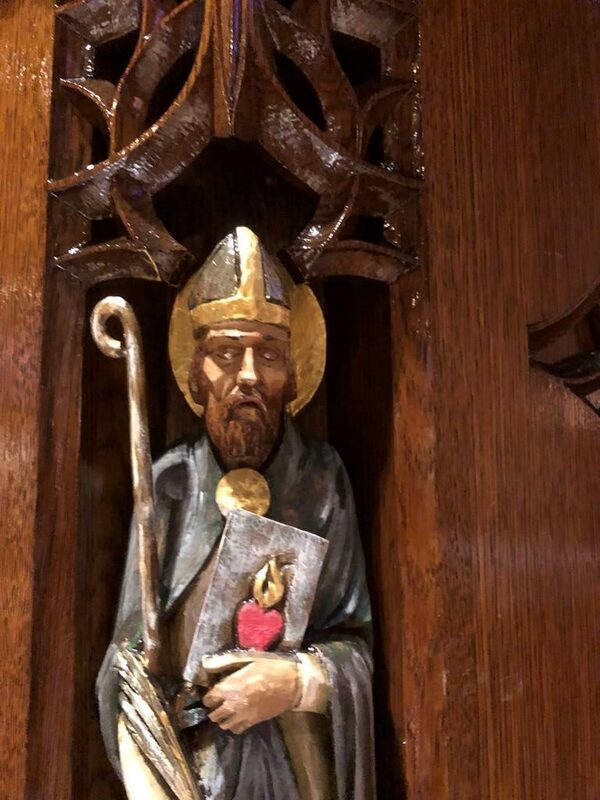 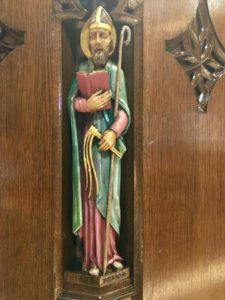 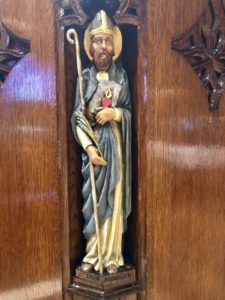 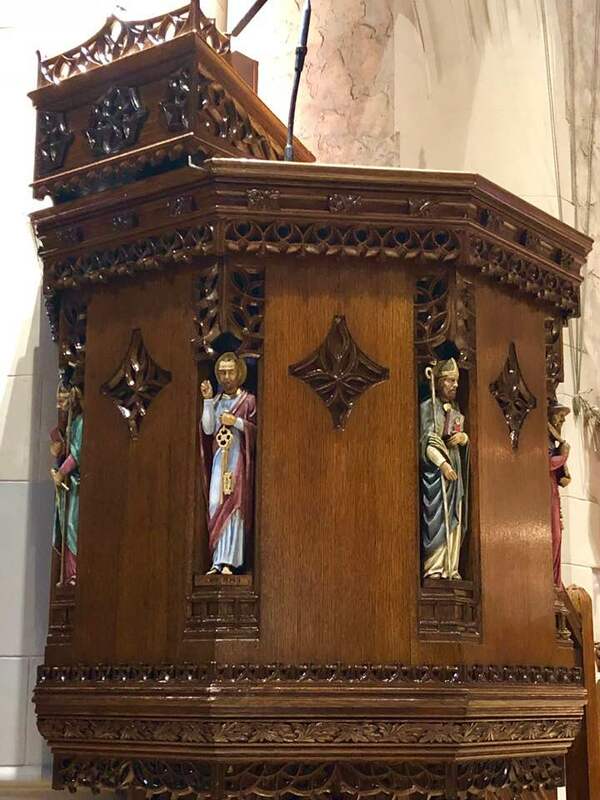 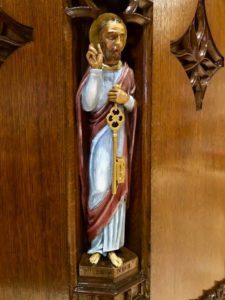 In addition, the pulpit and the stands for the priest celebrant and leader of song have been restained and the statues (of Saint Peter, Saint Jerome, Saint Ambrose and Saint Augustine) on the pulpit have been repainted. 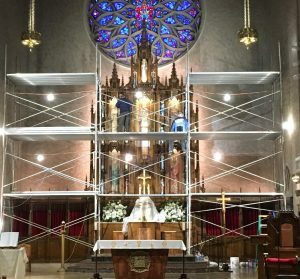 The work was done by the D’Ambrosio Company. 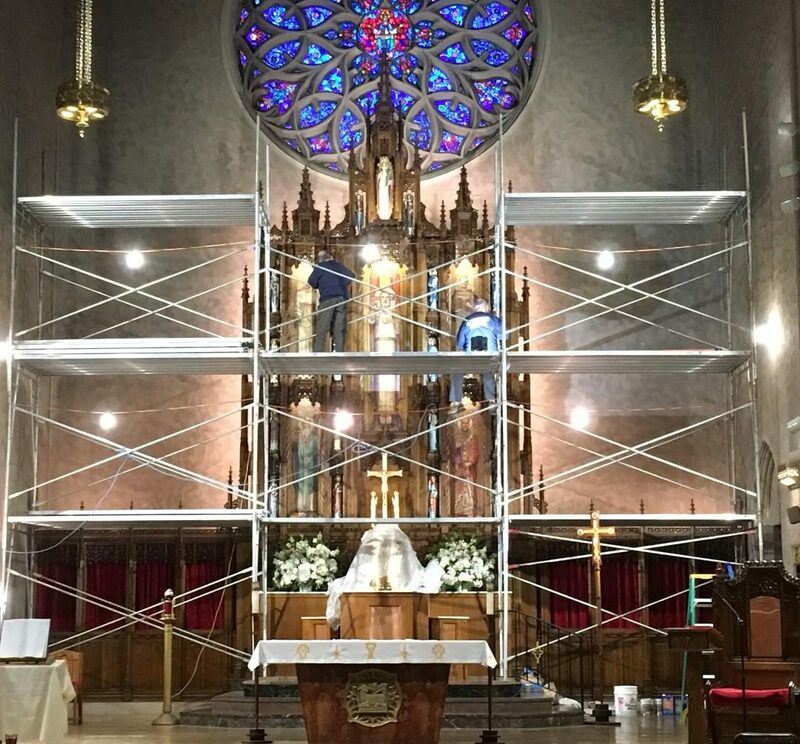 The total cost of all this work was covered by donations to the GOF campaign.